Both spacious bedrooms (big enough for king-size beds), have private en suites, one of which can be made accessible from the living area for convenience for visitors. For the guests travelling solo or as a couple, the second bedroom suite can be locked for economy and to create a more intimate space. This feature is being utilised by accommodation providers who want flexible solutions for their guests. It also saves them money in the next-day cleaning of the unit! This chalet is perfect for up to four guests who can enjoy a light and bright atmosphere in the central living space, as well as their own private space in the large bedrooms. The compact yet flexible design lets guests enter from the carport via the undercover walkway, or go directly to the deck to light the BBQ and open the first beer of the evening. The open plan kitchen, dining and lounge creates a sense of spaciousness, and is complemented by the feature window frontage which floods the space with light during the day. 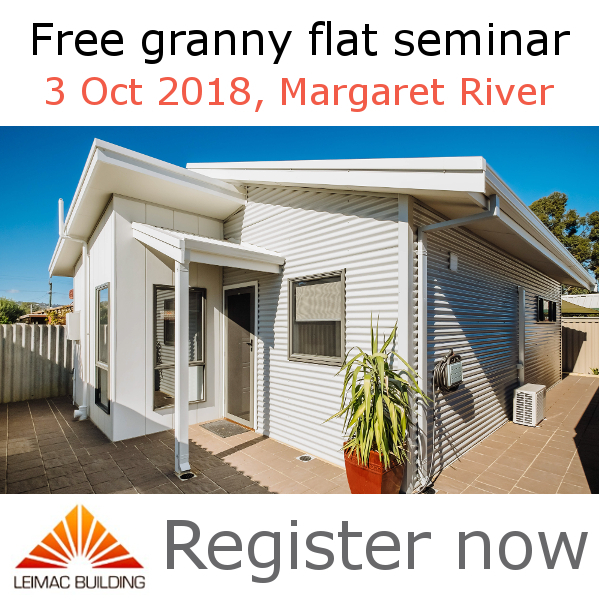 Assuming minimal site works, we aim to build this to suit any block in the Margaret River region from $150K for the 2×2 chalet. We can build it for even less if you remove one of the bathrooms. 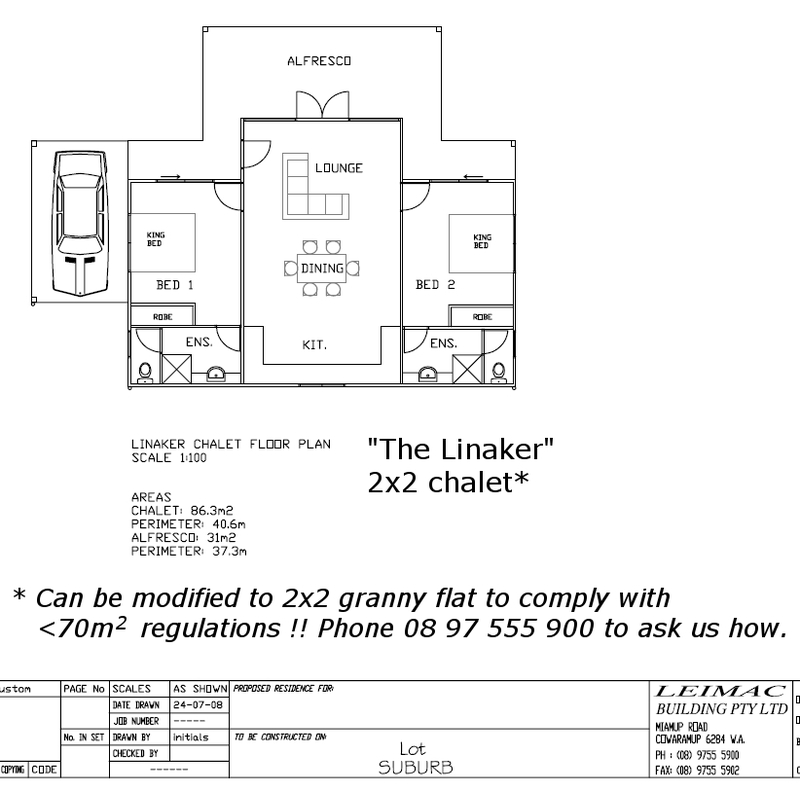 Click on the image to download “The Linaker” 2×2 chalet floor plan. 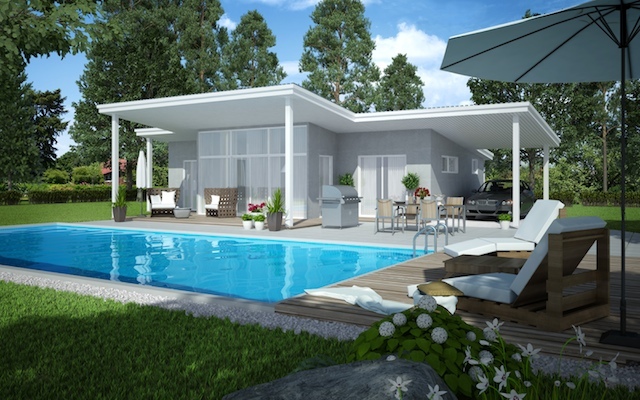 Phone 97 555 900 now to request a floor plan and pricing for your region in Western Australia. Gavin Leiper, the director of Leimac Building, will personally assist you.